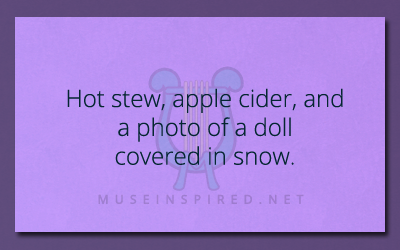 What’s the Story – Hot stew, apple cider, and a photo of a doll covered in snow. What's the Story - A fan that wins a contest to meet their favorite idol. What's the Story - Overhearing a phone call that sounds suspicious. What's the Story - Something terrible in the employee lounge.